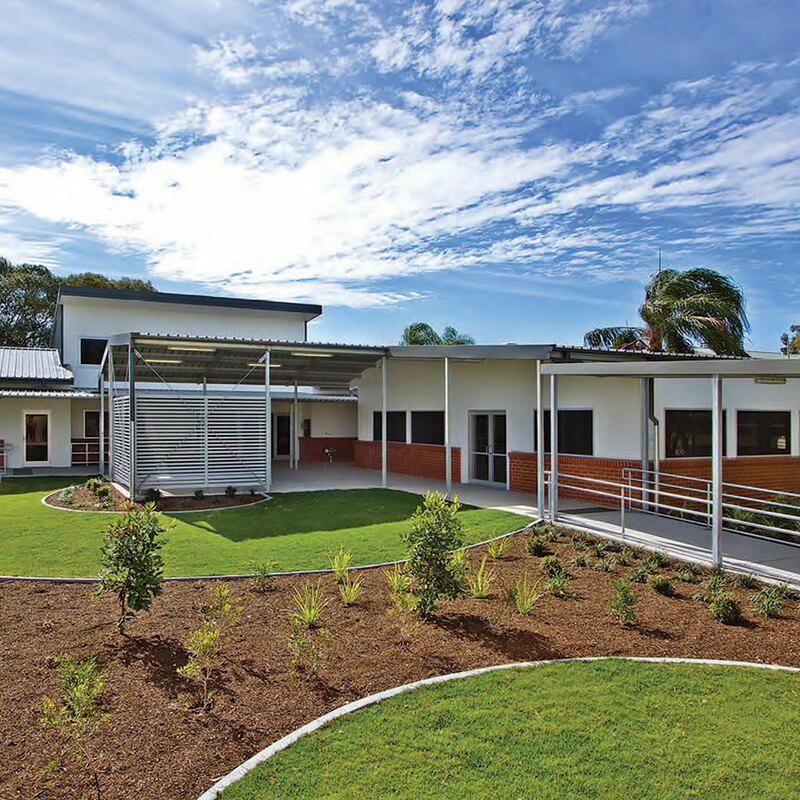 This state-of-art facility for the Biggera Waters State School combined a new Resource Centre, Science Laboratories and a mixture of covered and uncovered Recreation Facilities. Large breezeways provide safe interaction between all areas as well as extensive breakout space. A high level of finish was provided as the building became the hub of the entire school campus. The modular plan of the facility ensure a mix of reading rooms, coventional classrooms, audio-visual theatres and offices.